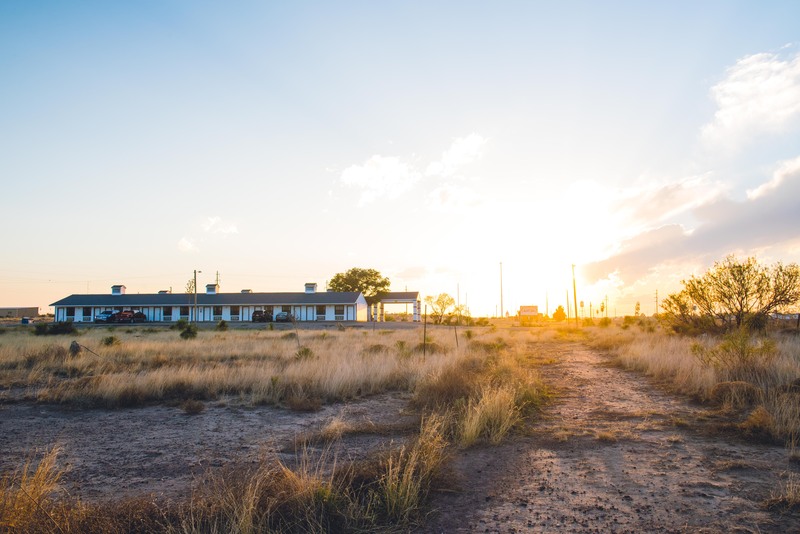 Make Riata Inn Marfa your home away from home in Texas. Located just off of the highway, our property allows you to easily explore surrounding cities and towns, as well as local attractions and national parks. 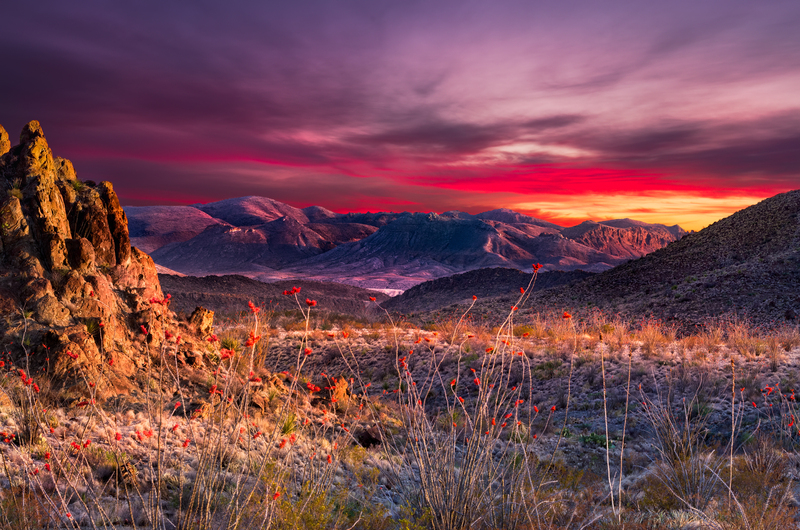 Enjoy a short and easy commute to Davis Mountains State Park, Big Bend National Park, Alpine, and Fort Davis to name a few. 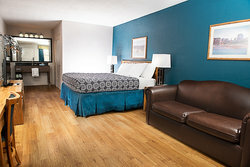 While on site, make use of our outdoor pool, stay connected with complimentary Wi-Fi, relax in spacious rooms, and delight in our dedicated Southern hospitality. 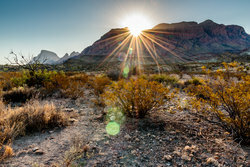 You are sure to relish the sweeping views of the west Texas landscape found all around our property, with ample opportunity to take unobstructed sunset photography and find peace and quiet. 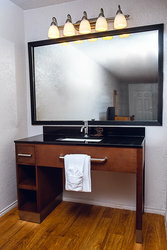 Plus, you’ll adore the modern western design of our accommodations with all of our rooms offering a drive-up feature that is rarely found in modern properties today. Use our photo gallery below to tour our property and discover what you can expect at Riata Inn Marfa. We look forward to welcoming you. Welcome to the most spacious hotel in Marfa, with all of our rooms sprawling over 360 square feet. 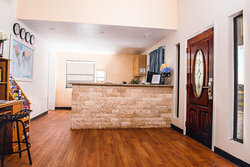 Our recently renovated property promises higher quality rooms punctuated by friendly service and a convenient location just off of the highway. Spend your days splashing in our seasonal outdoor pool. Boasting a deep and shallow end, our outdoor pool is perfect for days spent in the Texas sunshine with the family. Stay dry and soak up the rays from our brand new lounge chairs and pool deck seating. Our pool is open daily from 7 am to 10 pm. The pool isn’t the only way to enjoy yourself outdoors during your stay. 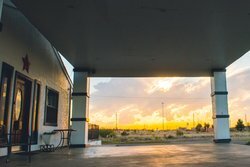 Riata Inn Marfa offers degrees of separation between the downtown core and our accommodations, which provides a unique sense of solitude and serenity to all of our guests. Our location also means that your room is surrounded by beautiful desert views with ample opportunity for sunset photography. 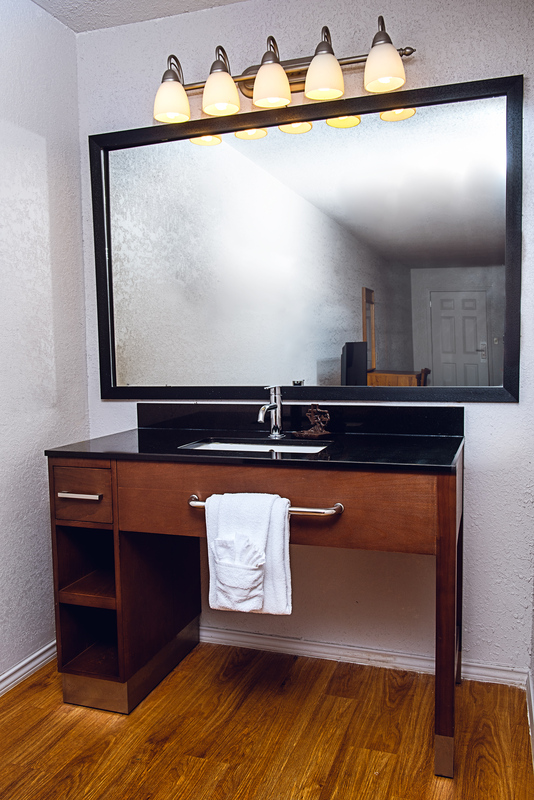 Our property offers a wealth of on-site amenities to ensure you feel right at home. Take advantage of our seasonal outdoor pool, which has a spacious deck and lounge chairs for relaxation or sun tanning. Free parking and Wi-Fi are always included in your room rate. 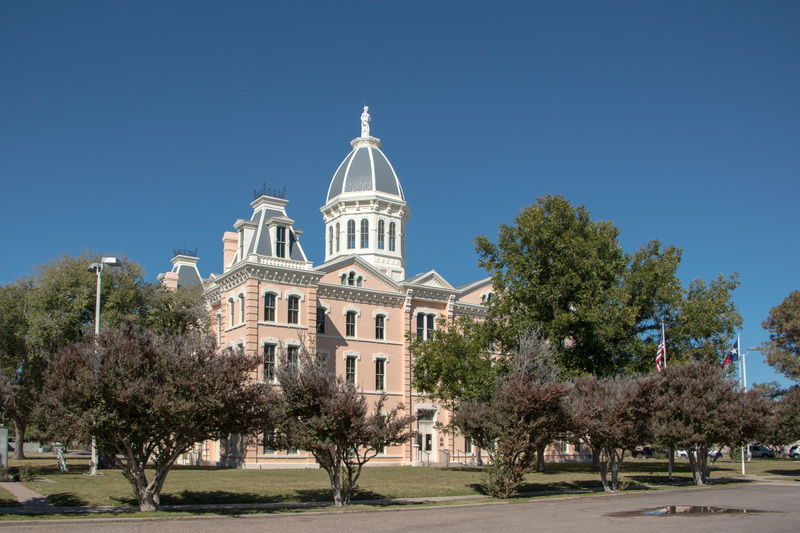 As an added bonus, Riata Inn Marfa welcomes the whole family – pets included. 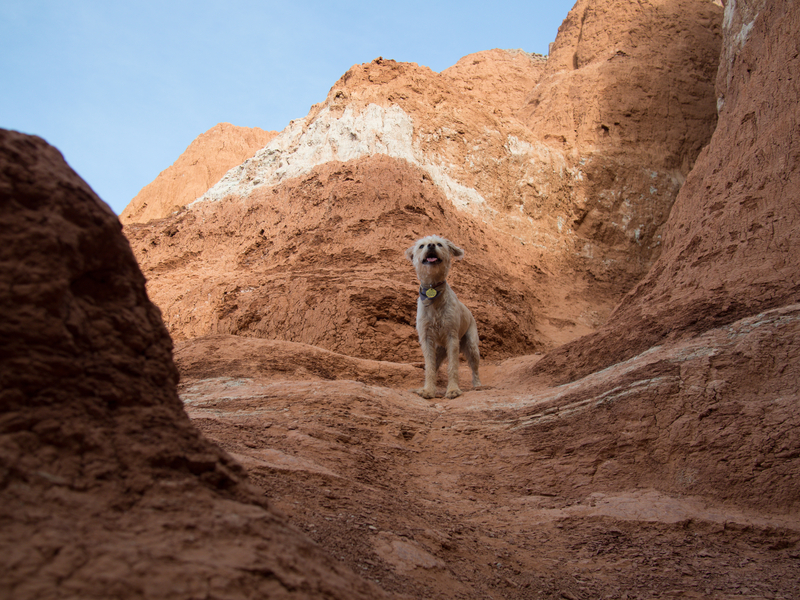 Our pet-friendly hotel is surrounded by scenic outdoor space for walking the dog or for beautiful, unobstructed Marfa sunset photography. 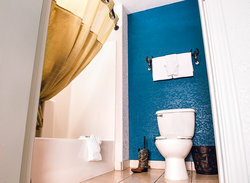 Stay at Riata Inn Marfa and enjoy accommodations that are uniquely equipped to suit your working needs. From our on-site amenities and services like free Wi-Fi, which are included in your affordable rate, we also offer wonderful ways to save, so your next work trip doesn't have to break the bank. Extend your stay or join us with a group and access competitive lowered rates. 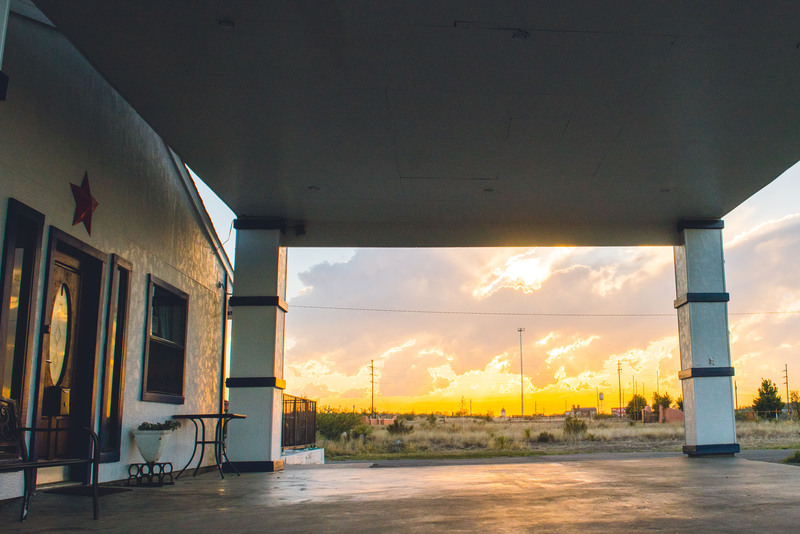 Sprawl out in our spacious lodgings in Marfa, TX and enjoy great value, Southern hospitality, a convenient location, and excellent amenities. 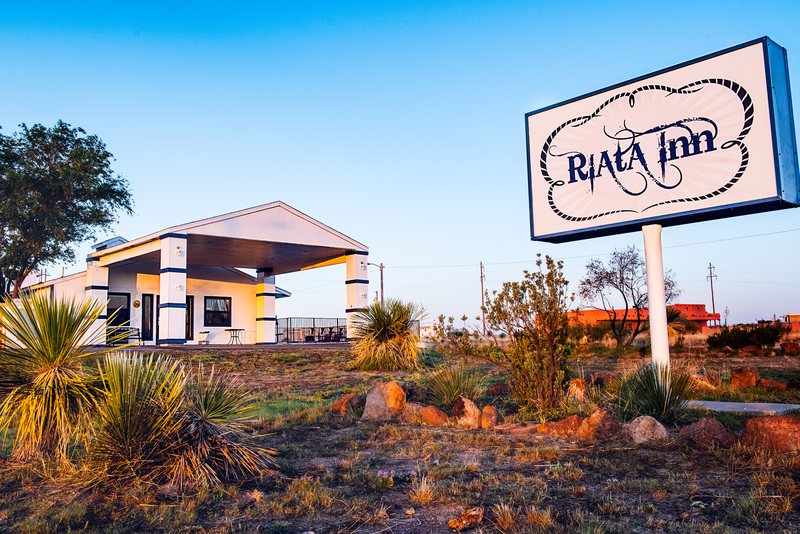 From in-room conveniences to on-site services, you are sure to find everything that you need for a stay in the Marfa area at Riata Inn. Our lodging in Marfa is well-equipped for groups, teams, wedding parties, extended stays, and more! 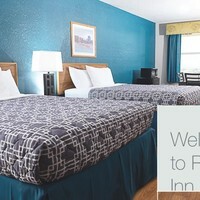 Stay connected with free Wi-Fi, make use of your in-room kitchen amenities, keep your clothes pressed and fresh with an iron and ironing board, and bring the pets along on your travels. Spend your evenings relaxing in front of your TV and access cable channels, as well as HBO, so you never have to miss your favorite shows. Our recent renovations promise new and clean rooms characterized by their fresh, stylish design. 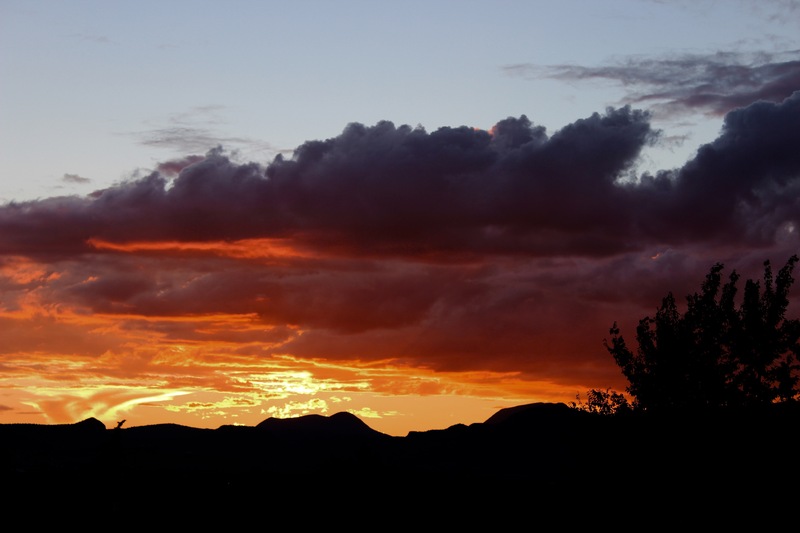 Plus, we are the closest hotel to the Marfa Lights Viewing Area and are within reach of all the top attractions in Fort Davis and Alpine, TX. 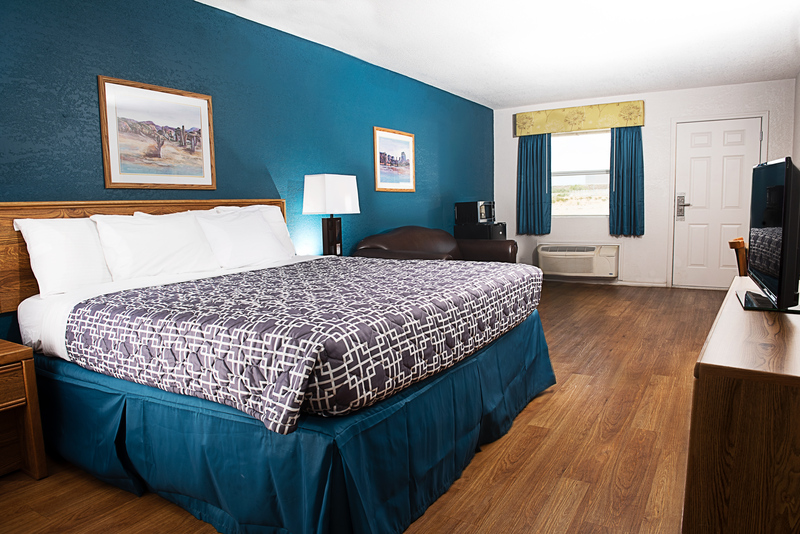 Our hotel near Alpine, Texas promises spacious lodgings, free parking, and drive-up rooms. Park your car for free throughout your stay in our large parking lot and in the morning, wake up well-rested to take on the day. The drive to Alpine is quick and easy, taking you only about 25 minutes. Simply depart our property and take US-67 N/US-90 E for 25.6 miles. From there, turn left onto N 4th Street, and left at the 1st cross street onto E Ave East. The drive from our hotel near Big Bend National Park is relatively long but is close enough to make a day trip of it. Spanning about 98 miles, the drive will take about an hour and a half in its entirety. Wake up in our comfortable hotel rooms rested and refreshed and head out on the road. 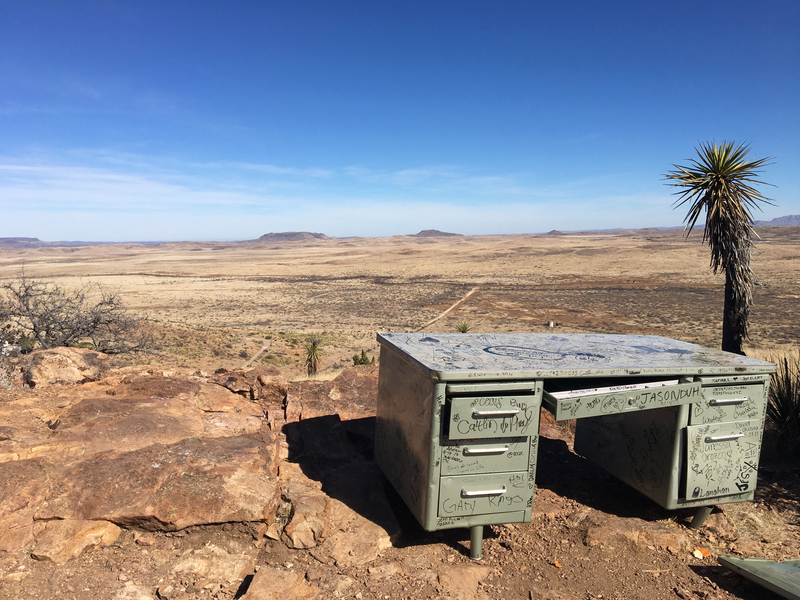 While reaching the park is slightly further than many of our other nearby recommended destinations, the drive promises beautiful views and has many photography opportunities or dining stops along the way. 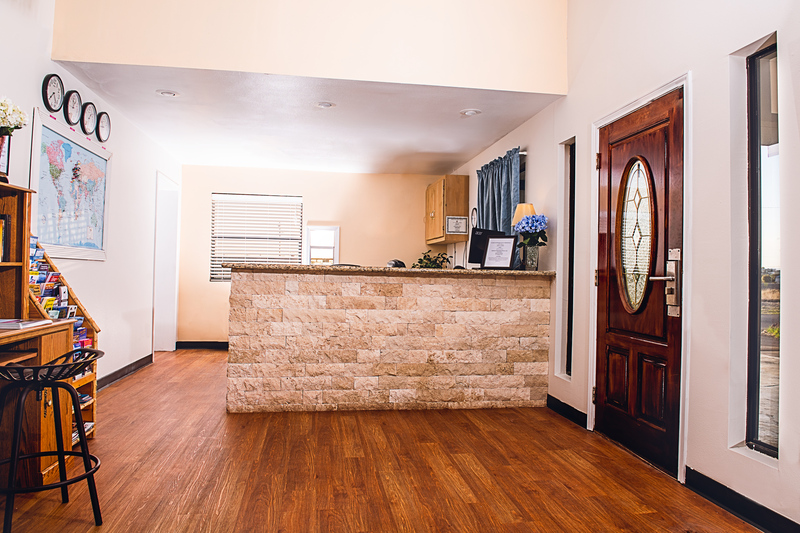 Welcome to your convenient and affordable home away from home in Marfa. 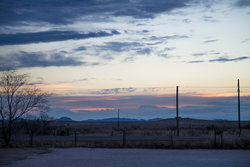 Riata Inn Marfa offers a wonderful and serene location on the outskirts of town that offers the best of both worlds. 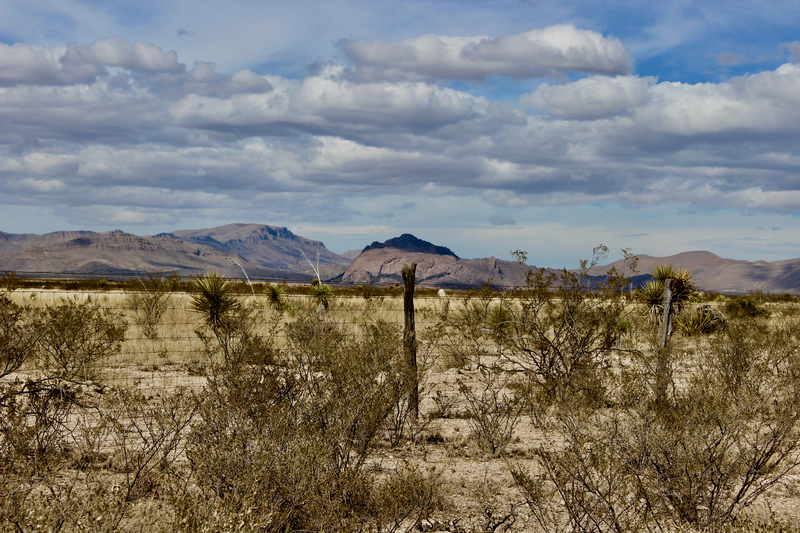 Our location surrounds you in picturesque Texan desert, while still promising you a short commute to downtown, easy access to the highway, and within reach of the best things to do in Marfa, Alpine, and Fort Davis. 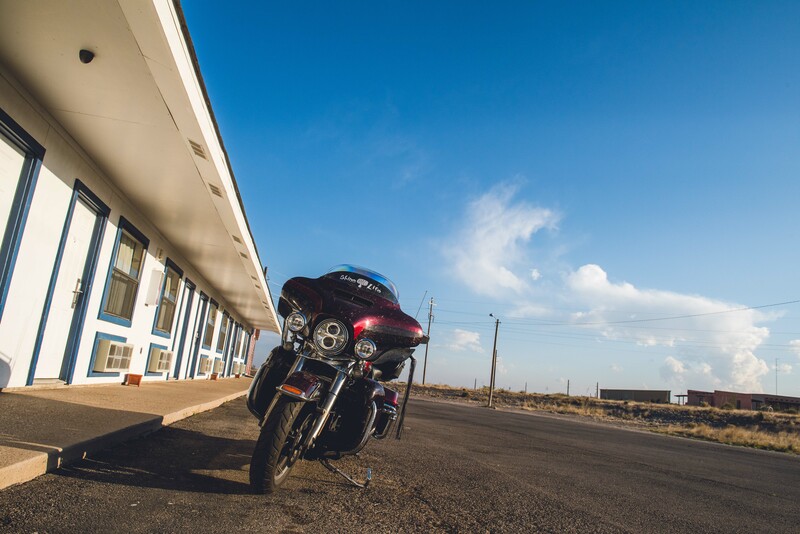 Shopping is in no short supply in Marfa and the surrounding towns, with boots at the forefront of the local retail market. Visit some of our favorites for unique clothes, boots, souvenirs, and more! 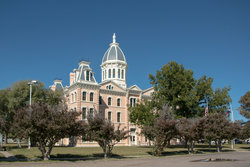 There are a wealth of attractions to see in Marfa, as well as a wide range of things to do near Alpine, TX that are easily accessible. 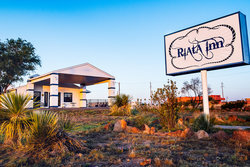 Riata Inn Marfa sits on the outskirts of Marfa and offers a convenient location just off of major highways, making exploring the surrounding cities quick and easy. Our lodging near Big Bend National Park, TX offers lots of amenities like free Wi-Fi, complimentary parking, and as an added bonus, we are pet-friendly. 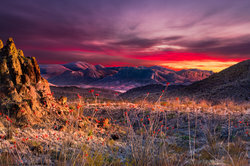 The area is uniquely equipped for adventures with the whole family and the pets, with an excess of national parks and rewarding hikes to embark upon. 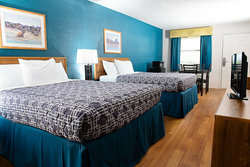 Spend your evenings relaxing in our spacious guestrooms and hit the road in the mornings to see memorable Texas sights. 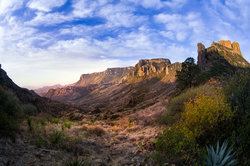 Big Bend National Park is among the most famous in the state and offers a wealth of activities. If you are visiting the park with the kids, check out this helpful guide to hiking trails in Big Bend, which will give you a good idea of which trails are suitable for children of varying ages. 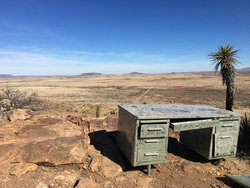 Plus, get prepared for your visit by consulting the park’s operating hours and seasons, and gather some advice for visiting in the busier times. 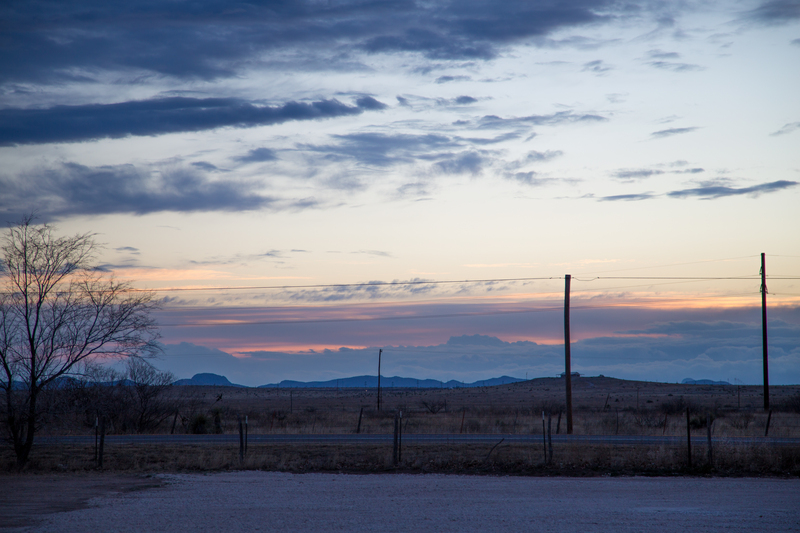 Book your stay at Riata Inn Marfa today and start making memories at our lodging near Big Bend National Park, TX. 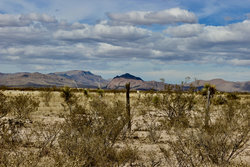 Boasting an excellent location, ours is the closest property in the area to the Marfa Lights Viewing Area. Separated by only 8 miles, the drive from our hotel to the observation deck is just a quick 7 minutes heading west along Us-67/US-90. If you are biking instead, expect the journey to last about 35 minutes with some periods of high incline. 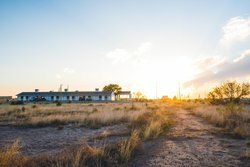 The Marfa Lights are a beautiful mirage that can be interpreted as paranormal or alien activity, a scientific phenomenon, or a simple optical illusion. While theories of its cause vary widely, the accounts are the same. If you are lucky enough to visit on a night when the lights are visible, expect to see lightly colored dancing lights. Some report the lights flickering, others experience them flying up and down along the horizon. 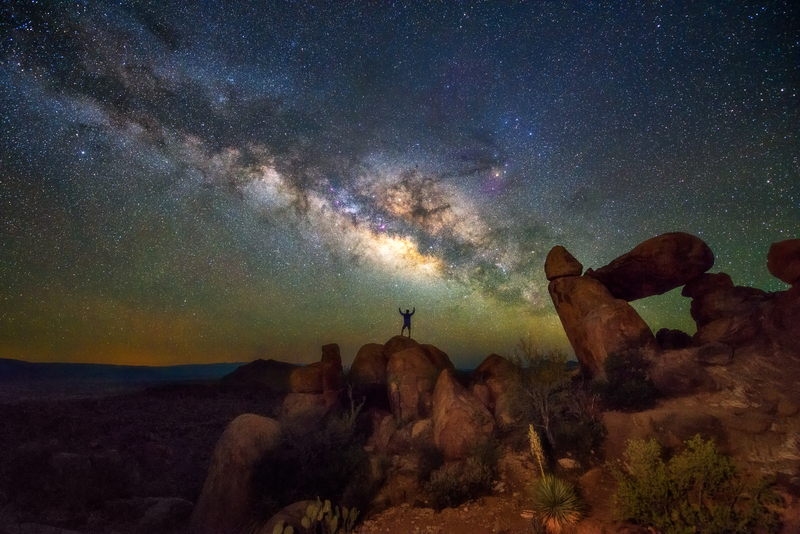 Regardless of how the lights behave when you have the pleasure of witnessing them, you can be sure that it will be a spectacle of rare beauty. 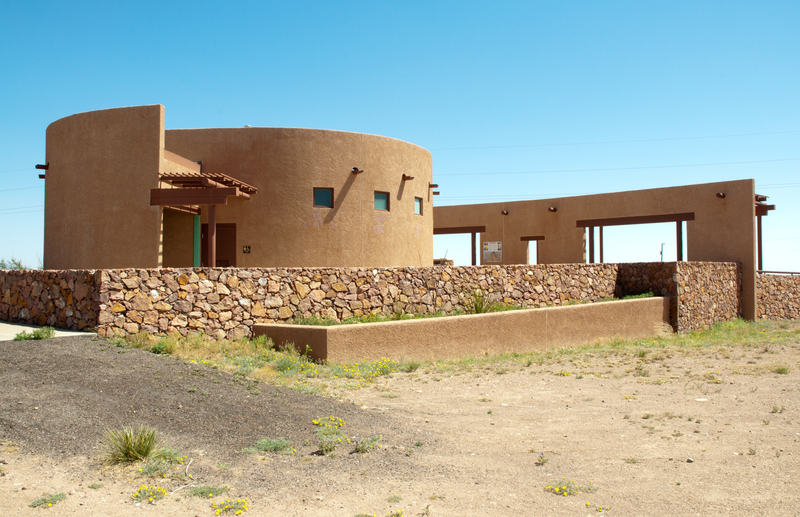 Book your stay at our hotel near the Marfa Lights Viewing Area today and get ready to check this marvel off of your bucket list!